（１）島田、冨山ら, 化学反応・ガス吸収・熱輸送を伴う気泡塔内気泡流の数値解法, 化学工学論文集, 第31巻, 第6号, pp.377-387(2005). 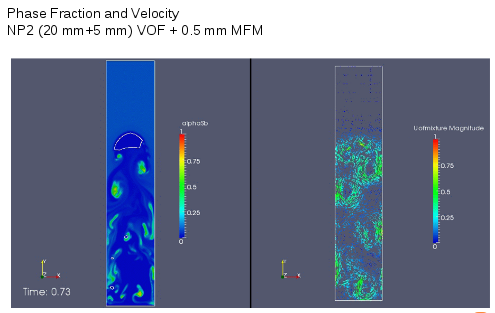 （２）Z.ZHANG, M. MAEKAWA, Implementation of an Euler Multiphase Solver Based on OpenFOAM® for Bubble Column Reactor Design, Open Source CFD International Conference 2012, London, UK. （３）M. MAEKAWA, Z.ZHANG, Hybrid Multiphase Solver Based on OpenFOAM® for Bubble Column Reactor Design, Open Source CFD International Conference 2013, Hamburg, German.